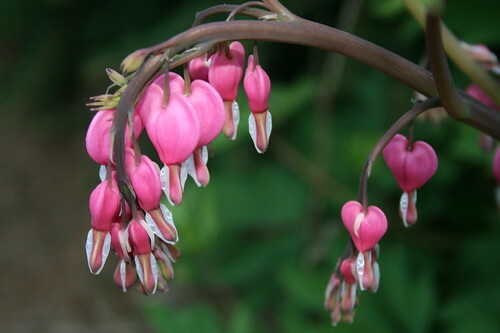 Close up of bleeding hearts, originally uploaded by DianthusMoon. I’ve been posting about Valentine’s Day and the different related projects I’ve made lately. You just can’t help to love it when nature gives us hearts right back. I have other plants with heart shaped leaves and may have a few more to share here. Thanks for joining The Saturday PhotoHunt. Those are the perfect little ♥s! It’s been years since I have grown these.